The Driving for Better Business campaign has just celebrated its 10th anniversary with a complete refresh. 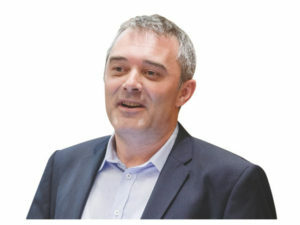 Campaign director Simon Turner tells Fleet World how the campaign is evolving. Simon Turner, Driving for Better Business. What are the key trends and changes you’ve seen in fleets over the last 10 years? I think there are two key changes in fleet over the last decade that are important within work-related road risk – fleet make-up and vehicle safety technology. Company cars have become less of a concern. HMRC has about 940,000 vehicles listed for company car tax but then there are also pool cars and rentals, but we’ve seen a consistent gradual decline in the total over the last 10 years. Cars in this section of the fleet are typically newer, safer vehicles and well maintained so are less problematic. They’re also more likely to be fitted with some of the modern Advanced Driver Assistance Systems (ADAS) technology. The number of vans however has increased from three million to four million. These vehicles typically have a longer operational life and aren’t fitted with the latest safety technology. This brings more focus onto daily vehicle checks and effective defect reporting as these vehicles are going to spend large parts of their day on the road for a number of years. The biggest change I’ve seen regarding fleet make-up has been the level of concern regarding grey fleet issues and, today, Lex Autolease reckons that a staggering 14 million private vehicles are used to make business journeys. Employers are now looking more than ever for expert guidance on how to effectively manage the grey fleet, both from risk and cost perspectives. The second trend is the development of ever-more sophisticated ADAS technology. When you see research showing Autonomous Emergency Braking systems can reduce rear-end collisions by 38%, why would you not specify it? The savings could far outweigh the costs! Volvo is still the only car manufacturer to fit it as standard to every car it produces and Volkswagen has just announced it is to fit it as standard all its new vans. I think manufacturers are missing a marketing trick by having AEB as an extra-cost option and more fleets should be putting pressure on manufacturers to fit it as standard across the range. Are fleets more aware of risk management than they were a decade ago? I think fleet managers in general are now undoubtedly broadly aware of their obligations to manage the risk. The continuing challenge is that the risks often aren’t fully appreciated by the company’s directors and so insufficient attention is paid to managing their employees when driving. Part of our goal with the Driving for Better Business campaign is to help fleet managers get their directors on board by providing strong case studies from other businesses who’ve seen the benefit of managing it well. How is DfBB evolving to meet changing fleet needs and what are you planning for the future? The campaign has always been about the business message and that won’t change. Unfortunately, many employers don’t listen to a road safety message so the campaign uses advocates drawn from both the public and private sector, real business people who have personally wrestled with all the common fleet issues, to share their own stories of successfully managing those who drive for work and the business benefits they’ve seen. Going forward, the campaign will be making more of our Business Champions’ experience, recruiting new ones across a range of sectors and fleet sizes, and updating the case studies of some of our longer-standing champions. The campaign will be running a series of informative free events for business owners and fleet managers to attend around the country – we’re working on dates and venues for these at the moment. The new website has a range of free resources such as guides, risk assessments, templates to monitor fleet collisions and costs as well as more advanced risk management activities. If a fleet is just starting out on their risk management journey, or is unsure where to go next, these will be invaluable. We’ll also be utilising a range of new communication opportunities to make the latest information available to fleets including blogs, webinars and social media. Working with a range of partners, this will give us an opportunity to share the very latest information in management techniques, vehicle safety technology, legislation, and driver behavioural change. My overall aim is for the campaign to engage as many businesses as possible and, whatever their current level of risk management, provide valuable information and resources to help them improve still further.